It’s fair to say that some of you, if not many, wouldn’t choose shiny red but hopelessly tasteless tomatoes from a crowded supermarket on the way home, if those fully ripe with stunning taste were ready to be ordered by mobile from your couch. …Hey wait, it’s not a scam or la-la land story. It’s real. Because, thanks to social media, this is exactly what I did. I’m not assuming global tomato trade here, of course. Physical distance is restricted within say 30km radius in order to make it a realistic option for any growers. 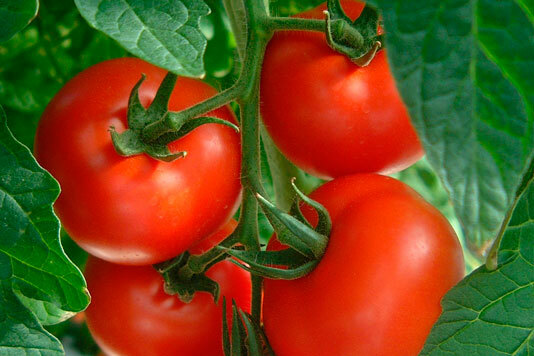 So, in the past what had made it difficult to provide tomato directly from a grower to consumers? The answer is found by looking at what intermediaries do. Basically, they provide various utilities such as place, possession, transaction and time, which are ultimately achieved by coordinating supply chain. Let’s have a look at each of these in the context of local food. Place: It’s over there. Vicinity is the fundamental definition of local food. Possession: Actually, no one needs to possess fresh produce; rather their fields and trees can do the job, which are better than controlled atmosphere storage (fancy name!) powered by electricity. Transaction: This is broken into information search, matching, and exchange. And this is where social media comes in. As Andrew McAfee explained with an acronym – SLATES, information search and matching farmers supply & consumers demand are achieved at a far more advanced level. Both sides can easily express their product availability and requests anytime – Authoring. Even they don’t have to search them – Signals. And this leads to another time utility. Time: Farmers may not be able to have as long business hours as supermarkets. But there’s another time utility – responsiveness. Since consumers and farmers are directly connected, following requests will be made happen. In the conventional supply chain, over-ripe peach isn’t available because it’ll be too soft to be handled and transported in a large quantity. So, they know their requests are special, hence willing to pay more. To sum up, in the local food system, farmers don’t have to coordinate such a complex supply chain to provide their products to consumers. Of course, they still need farm supply delivered through traditional routes. But, no need for the part between farmers and consumers. Most of utilities are completed as functionally, if not more, as by social media. And ironically enough, those digital social media are more humanized than shrewd middlemen. These are just an example of replacing conventional intermediaries by social media. The real fruits of local food facilitated by social media are product quality (not availability), business sustainability and enjoyment. In the example of my farming days, I set up a website to sell, communicate and sometimes cooperate with customers through a blog form. They were able to comment not only on blog posts but also on each product. Direct communication with consumers was so fun and very encouraging. Direct feedbacks were ultimately useful and priceless. Furthermore, strong intimate relationship made it possible to cooperate such as customers ß-testing a new mobile website with a wide range of their devices or selecting varieties for a next season. The relationship was so solid that they didn’t go away as long as I kept showing right efforts, not results; hence, the wheels kept turning. I personally believe this is the future of fresh produce. Wouldn’t it be nice if we could enjoy real fresh produce each season with authentic taste and make it sustainable by giving money back to growers?